With its rugged design and solid build, the Mitsubishi L200 is a great choice for businesses that require a reliable workhorse capable of delivering in even the toughest conditions. Four-wheel drive capability makes light work of off-roading, while the pick-up's loadspace makes carrying equipment a breeze. Highly manoeuvrable and comfortable within the cab, the L200 is a great choice for firms that can't afford to compromise. 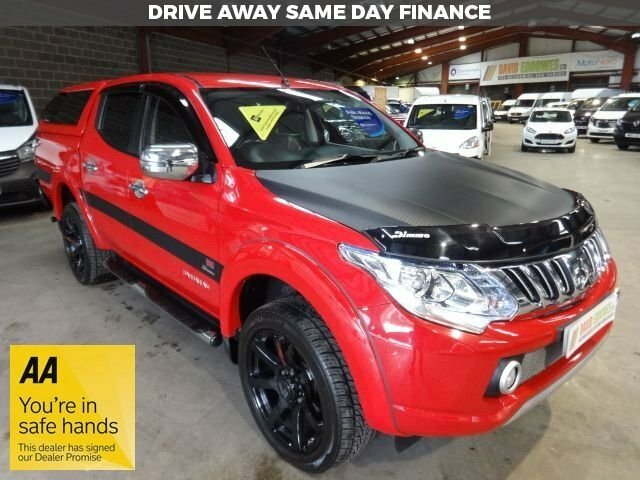 Speak to a member of the team at David Eddowes Ltd to learn more about our current stock of used Mitsubishi L200 models for sale in Huddersfield. Each used vehicle we sell comes fully inspected and we always strive to make our prices as competitive as possible. Get in touch today for more information.